Looking to redecorate or renovate your home this year? From materials, colors, and lighting, we have all the knowledge you need on the latest design trends to incorporate into your home. At Sensory Six, we are constantly looking for new and fresh ways to make our designs more exciting and updated. The best thing about the new year is all the new design trends that come along with it. 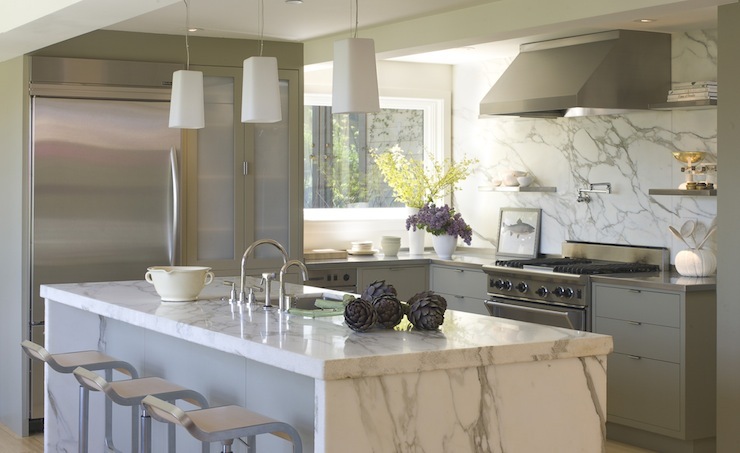 Check out our ten favorite design trends to incorporate into your home this year. Backsplash tiles are nothing new— colorful, geometrics, solids, patterns, we’ve seen it all. But, what now? Backsplash tiles are making a comeback, from the countertop all the way up to the ceiling. Transform your kitchen with floating shelves, flanking range hoods, and a striking backsplash feature wall to make your kitchen pop. 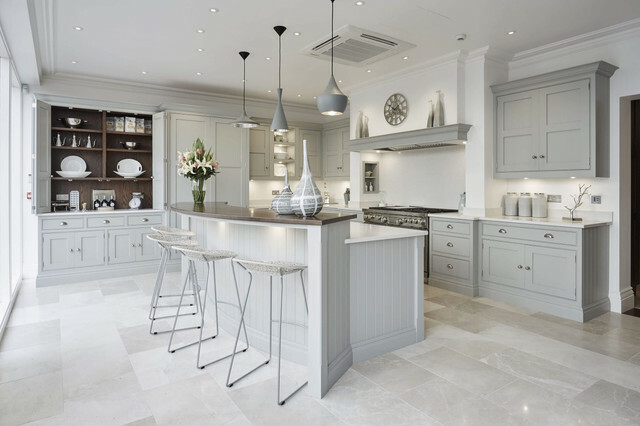 We love open layouts, even more so in the kitchen. 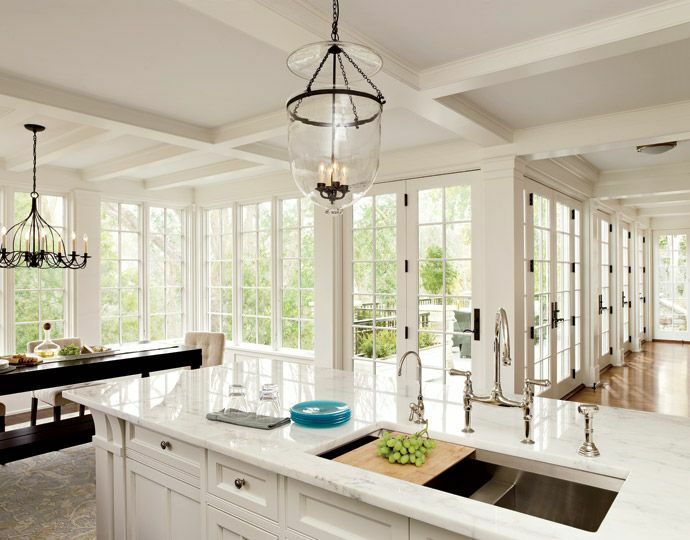 If are you looking to make your kitchen more open, expansive and less top-heavy, we can help! Window walls are the perfect solution that not only create an expansive window wall, but deliver amazing views of the outdoors and an abundance of natural light. Rectangle island? Been there, done that. Abstract island shapes are making their way into the design world, from L-shapes, prominent bends, subtle bends, bar and table add-ons, and even pentagon-shaped islands. Sounds intriguing, right? Modifying the shape of your island into something more free-form can open up circulation paths and create more work and storage space. Have you heard? 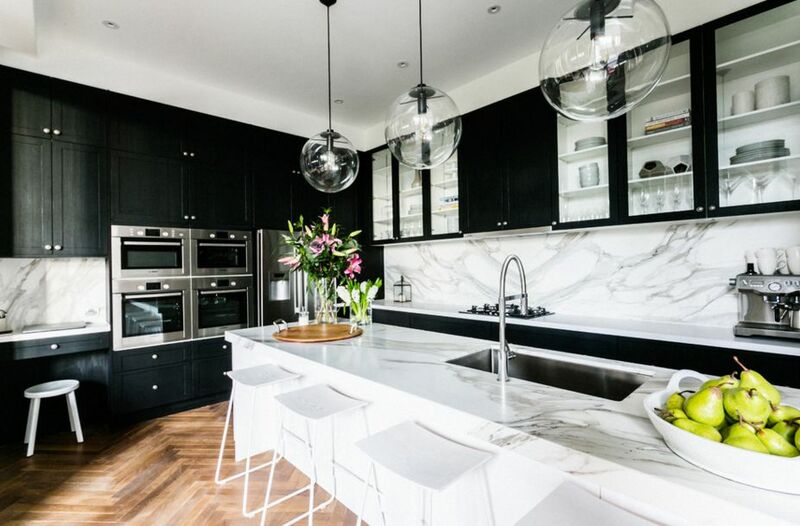 Black is back, especially in the kitchen. The design world has been seeing a large amount of black range hoods, island accent colors and even full-on all-black cabinetry. For an elegant, luxurious and simple style, pair black cabinetry with white backsplash and countertops as shown above, leaving you with a dynamic, sophisticated and high-contrast look that we love at Sensory Six. 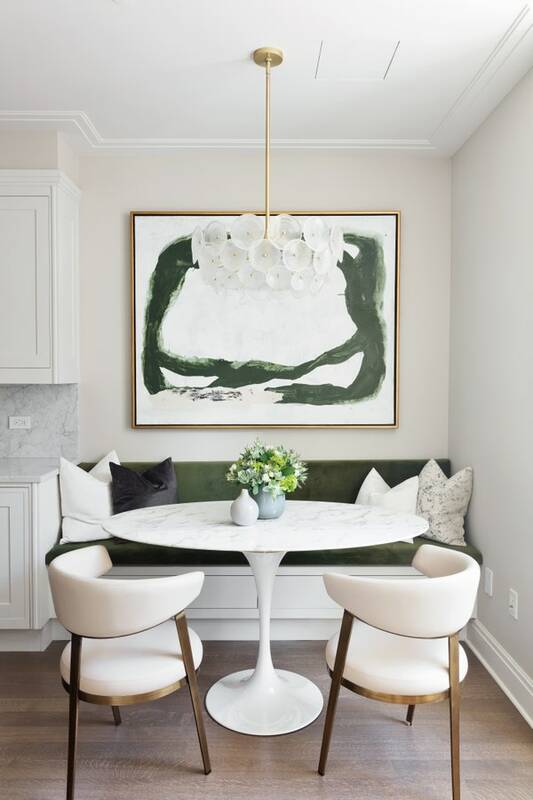 Everyone loves a cozy nook, but how about a dining nook? Using built-in bench seating off the kitchen creates a homey feel and gives you that extra storage space you’ve always wished for. Or, if you’re looking to go the more practical and affordable route, consider using stand-alone furniture benches instead. Bathtub or no bathtub? We vote bathtub. Your bathroom should bring a sense of calm from the moment you step in until the moment you leave. Freestanding tubs have become more and more popular because of their comfort level and depth. They create a destination of its own and create the perfect at-home spa day. Tired of the tile, glass and metal look in your bathroom? Wood vanities can instantly add that warmth and welcoming feel you’ve been looking for. 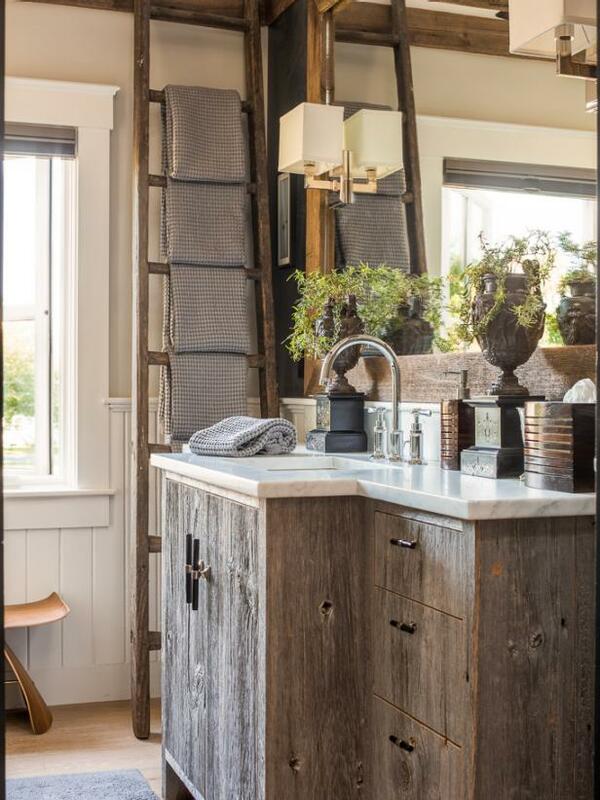 Using a reclaimed wood vanity with a thin marble countertop can bring out the gray tones in the wood while adding just a hint of luxury. 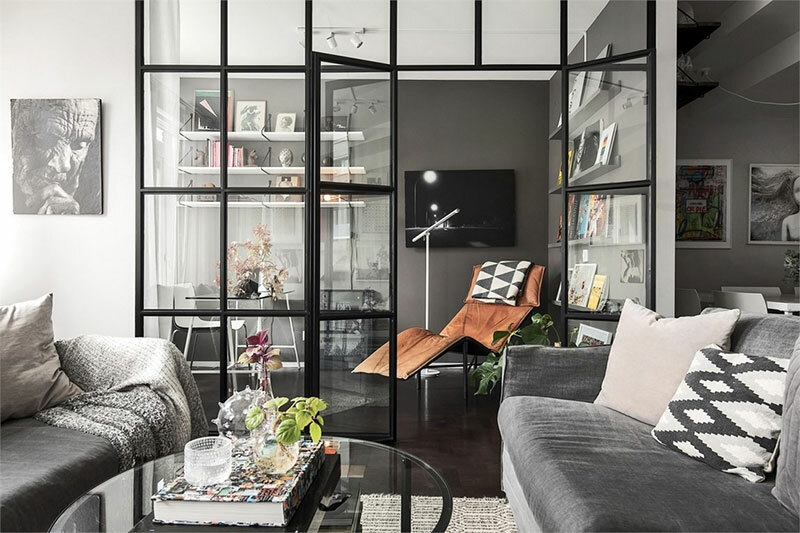 As you know, glass and steel have been popular for front doors and shower enclosures, but what about incorporating those materials for room dividers and interior doors? They will create an open feel throughout the home and allow light to pass between rooms. Plus, they add a beautiful and stylish element and contrasting color to your home. 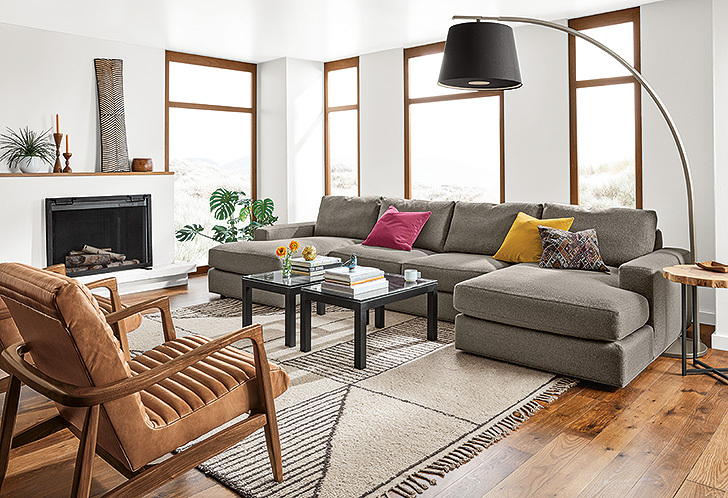 Living rooms today are incorporating a more “lived in” vibe, meaning a mix of fabrics to create a softer and more comfortable feel. Incorporating a living room that consists of different textures, materials, and colors will give you the perfect home design that will delight all your senses. Welcome to 2019, or should we say the dark side? 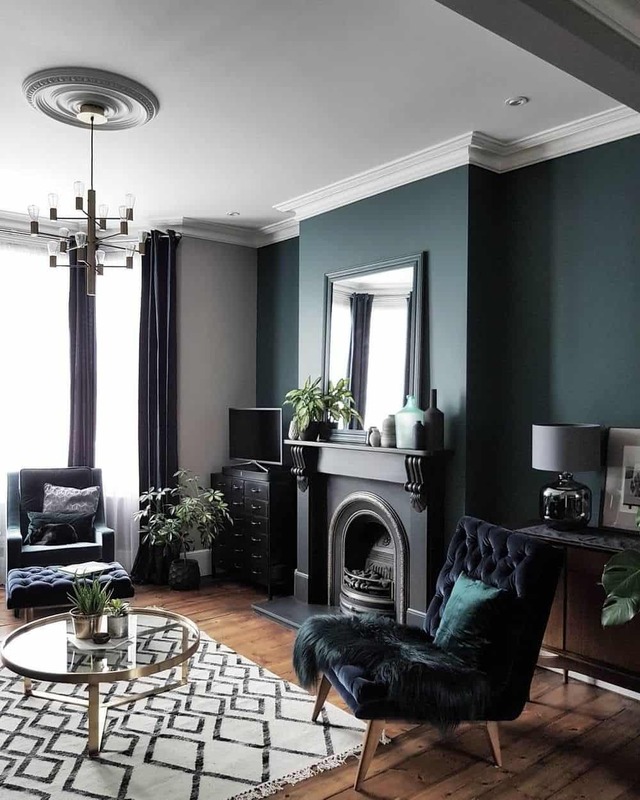 Over recent years, we have seen a sharp turn towards deeper, darker, and moodier shades such as navy, black, forest green, or our color of the year— Nightwatch Green. Why? They create a warm and serene setting. Nightwatch green, especially, looks great with high-shine finishes and elements. Sensory Six is excited to help update your home and create a space that everyone will love to spend time in. Whether you want to redo your whole house or update a few rooms, we would love to work with you to design your dream home! Contact us at Info@SensorySix.com to set up a time to go over all your favorite trends and how to bring them to life in your space!